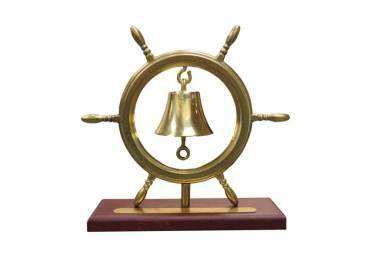 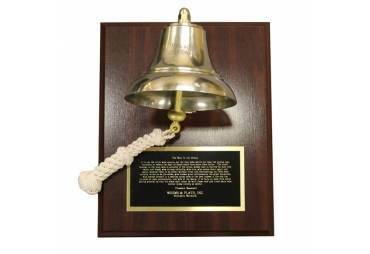 The helmsman rings the ship's bell for every half hour of the four-hour ship's watch. 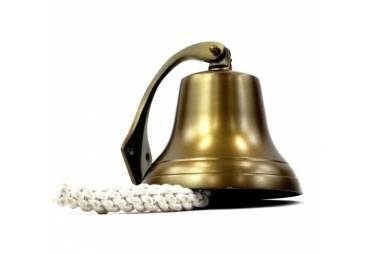 A ship is a round-the-clock operation, and ship's crews work four hours on and four hours off. 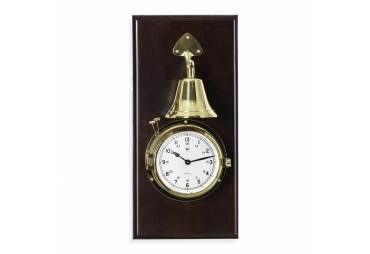 To change the routine two two-hour dogwatches usually run between 4 and 8 PM. 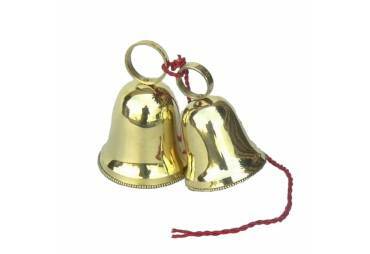 One bell - One ring (say 12:30)… Two bells - Two rings (say 1 PM)... etc. 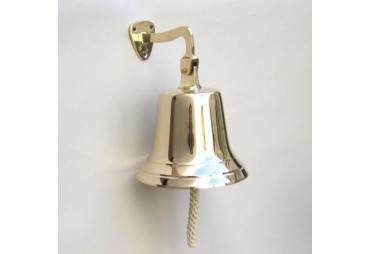 until... 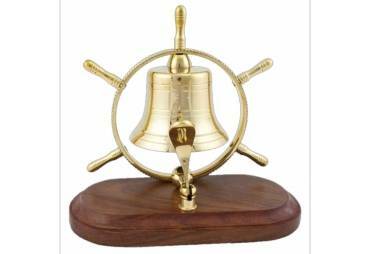 Eight bells - Eight rings (4PM). 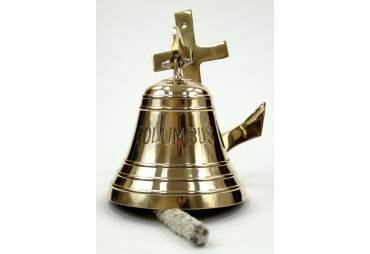 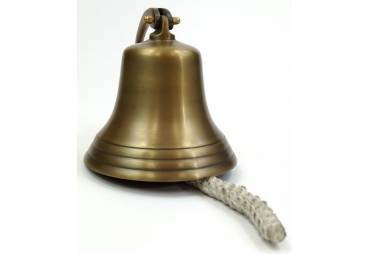 AM-Living bells are made of heavy solid brass, handmade and sand-cast. 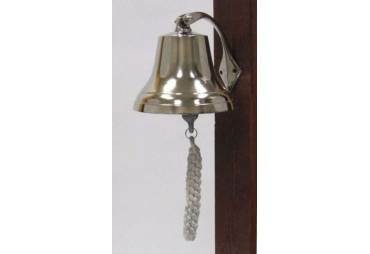 The chunky hand knotted lanyard offers years of use. 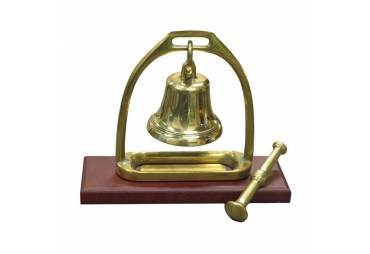 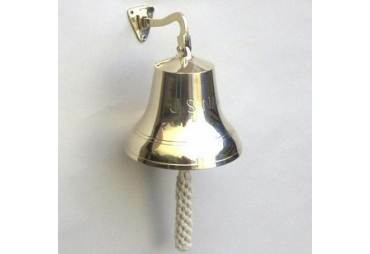 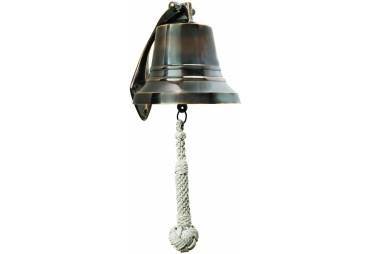 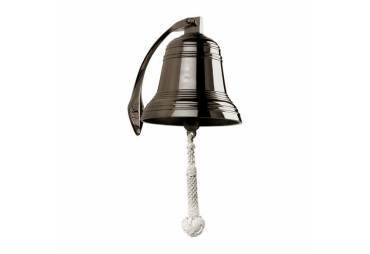 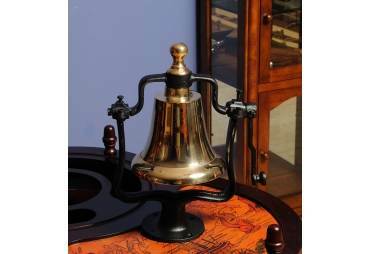 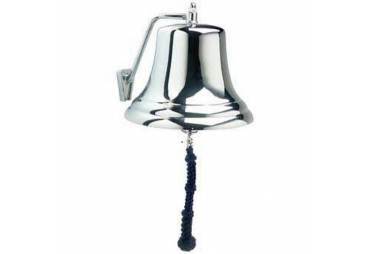 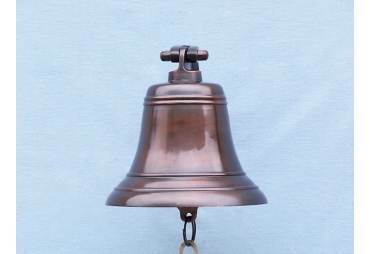 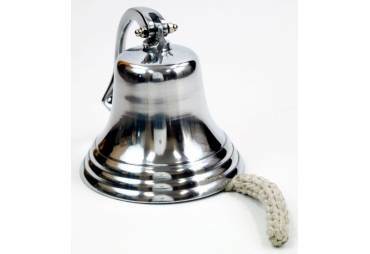 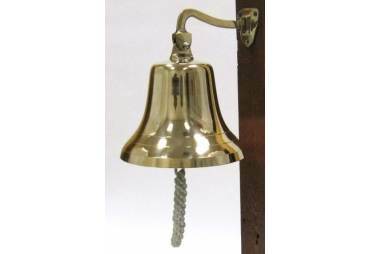 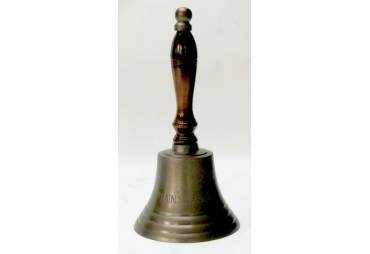 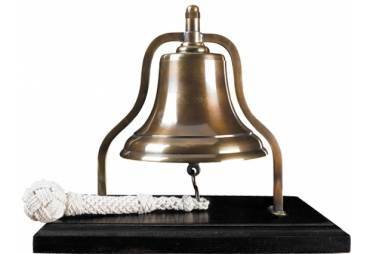 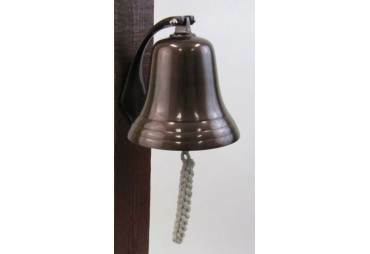 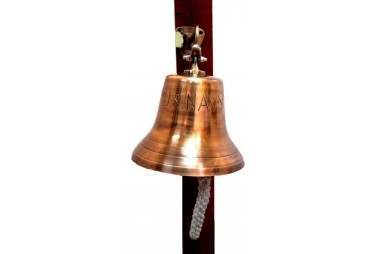 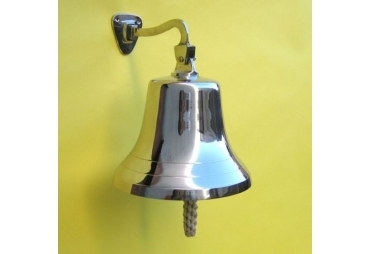 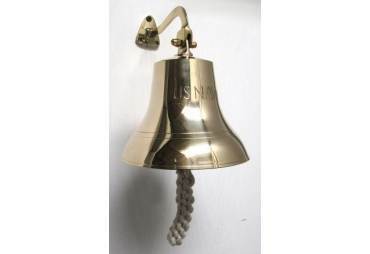 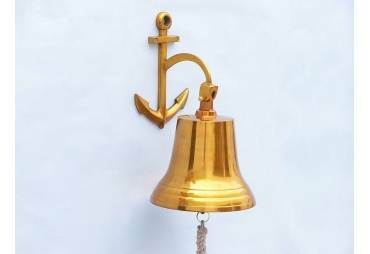 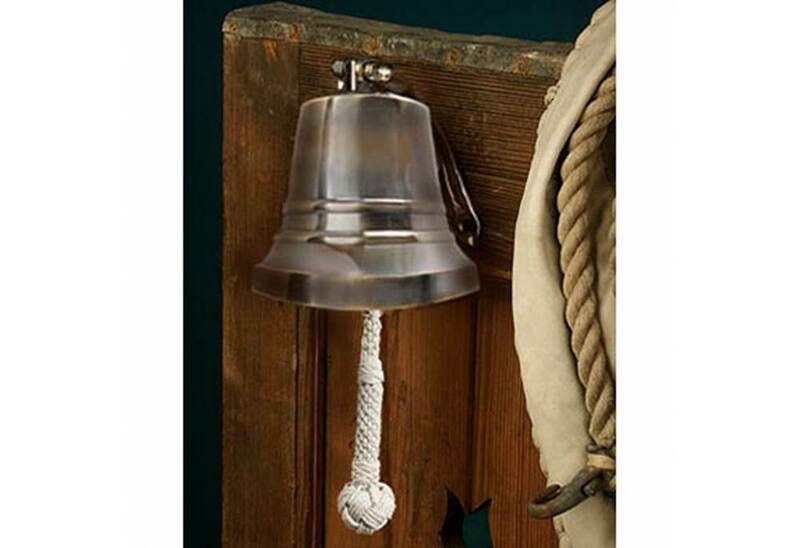 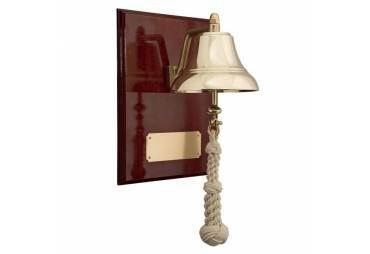 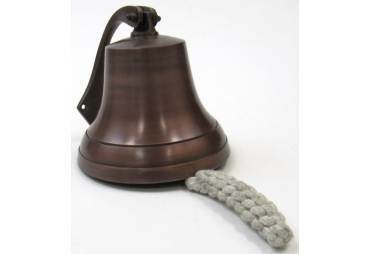 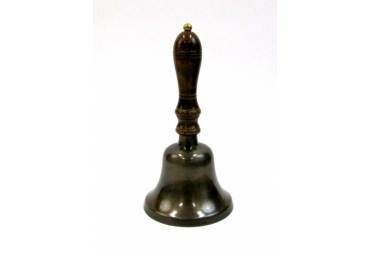 We offer four sizes of bells, petite to large, for beach house or boat. A true nautical heirloom offering clear and solid sounds.